The Imagine Fund exists to assist individuals to apply for grants to attend Educational Events related to Faith and Leadership Development. Grants are given to those Youth and Young Adults most in need who may not be able to participate in events unless they receive this grant. The Grants committee will consider the question: how will this experience enhance the ministry by and for Youth and Young Adults and encourage their involvement in the life of the United Church of Canada. Proposals must clearly address the goals of the British Columbia Conference of healthy congregations, effective leadership and faithful public witness. The Imagine Fund replaces the Baxter Fund, started in 1983 by Mr. Donald Baxter. When the Baxter Fund was depleted, through the generous donations of the people of BC Conference, the Imagine Fund was created; it is only sustained through fundraising and private donations. 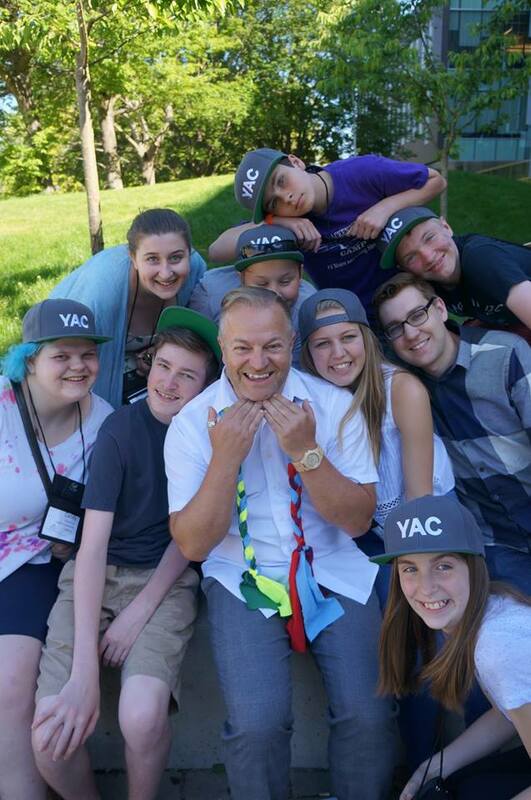 Through this fund, Youth and Young Adults have a unique opportunity for financial support and involvement with the United Church. The maximum grant for individuals is 1/3 the cost of the project or event, to a maximum of $500 per individual. The 5th of each month (with the exception of July, August and December). Upon the completion of your event, you will be required to submit a report to the Grants committee including details of the financials of the event. When it is shown that your event used the full amount of the grant, your monies will be released. The Imagine Fund is available for Youth and Young Adults aged 13-25. Please consider making a donation to the Imagine Fund. You can make cheques payable to BC Conference and send them “Attention: Imagine Fund” to 4383 Rumble St. Burnaby, BC, V5J 2A2). You may also call us with your Visa and Mastercard Number, which we’ll be happy to process for you. Tax receipts will be sent out for donations over $20. I would like to extend my sincere thanks to you for helping my recent service and learning experience trip. The donation was a tremendous help to me and aided in easing my mind in terms of financial difficulties; without this bursary, I might not have been able to go on the trip as well as return to university in September. We spent two months volunteering – it was a trip primarily focused on service and learning. We volunteered every day during the week and attended Spanish school, and on the weekends we would take a break and go on excursions around the country. Despite repeated changes of plans and frequent failures of preconceived notions, the trip was a definite success. It is something that I will remember for the rest of my life, and something that will also forever affect me. Thank you again for your support of my journey this summer. Your contribution made a significant difference for me.